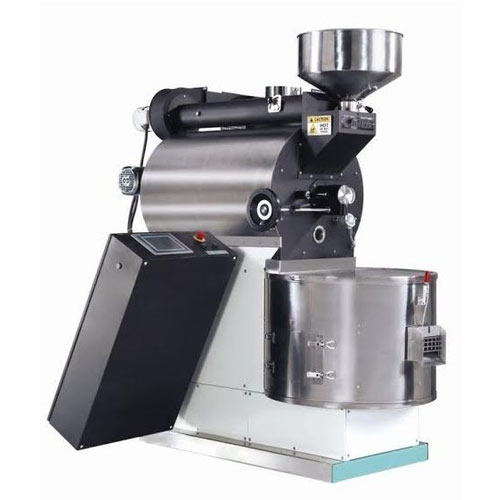 The Commercial Roaster(Roast Master M2O) is available in open system or hot air recirculation version which allows for energy-efficient coffee roasting (up to 30 % energy savings compared to open systems). The optimized design of the roasting chamber assures a superior, efficient and homogeneous heat transfer from the hot air to the beans for the ultimate flavor quality. Optional water quenching stops the process precisely at the desired degree of roast. The fully automated process control is managed using recipes. A large touch-screen panel provides easy access for operators to control process parameters and for monitoring. A sophisticated safety system ensures a safe operation at all times. The roaster is equipped with emergency water system. The PLC control system Simatic S7-300 and the panel PC with touch-screen assure an easy- to-use interface between operator and machine. Starting range from 20 lakh to 7 crore. Buhler (India) Pvt. Ltd. was incorporated in the year 1992. We are involved in manufacturing and supplying a wide range of Coffee Machines. The wide variety of products consists of Portable Coffee Roaster, Infinity Coffee Roaster, Commercial Coffee Roaster and many more. The products are provided at market leading prices.